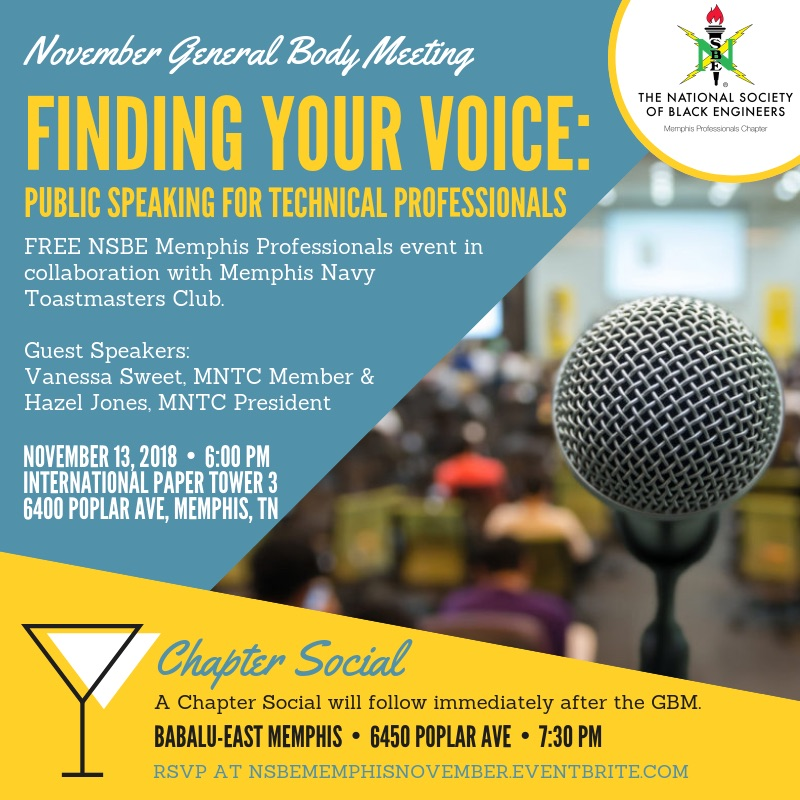 Please join the NSBE Memphis Professionals Chapter on Tuesday, November 13, 2018 for our November General Body Meeting titled “Finding Your Voice: Public Speaking for Technical Professionals”. Our featured topic this evening will be presented in collaboration with the Memphis Navy Toastmasters Club. This topic will be presented by Vanessa Sweet, DTM, Memphis Navy Toastmasters Member and Hazel Jones, DTM, Memphis Navy Toastmasters President. 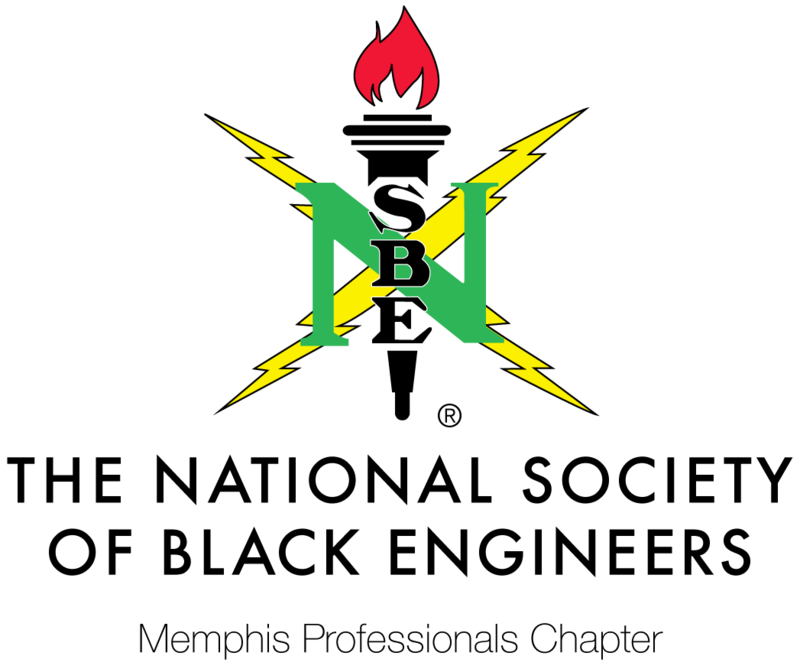 Following our featured presentation will be chapter updates and then a social at Babalu-East Memphis! Lite bites will be provided.